They’re stock, but they’re done well. 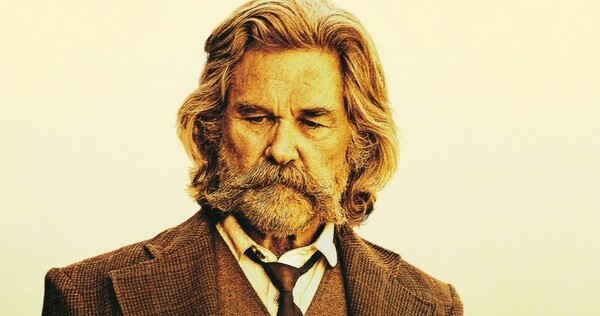 Kurt Russell is excellent as the sheriff. He’s my favorite kind of by default because he’s so good, but I have a strong fondness for Matthew Fox wearing a very light-colored suit for the amount of dust and horses (and his silly mustache, but more on that in a second). And I always adore Richard Jenkins, and he’s awesome here too. He should be in everything. And I guess Patrick Wilson. I cared less about him, but I think that’s me, not the movie. It’s pretty sparse, so settle in for some characters hanging out and not a whole lot else for a lot of the movie. But it doesn’t need to be packed with Stuff, and what’s there is reasonable and good. Is there anything else that needs a particular comment? Several things! First of all, the marvelous Old West facial hair. 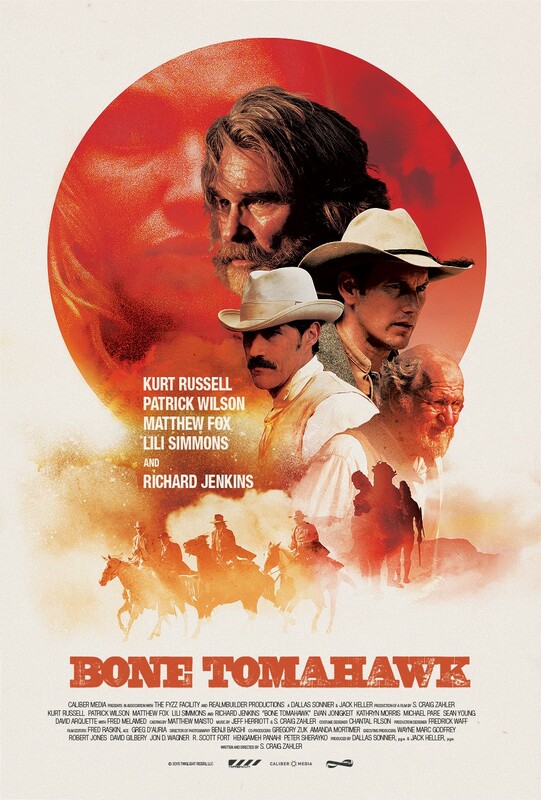 Kurt Russell’s face suits a beard and giant mustache so well. And a particular mention for Matthew Fox’s extreme kempt dandy mustache. Well done, hair department and makeup department. Also mad props to the sound people. I don’t know how much of it’s Foley work and how much was mixing/editing/digital stuff, but there are some shrieking-screaming-calls-at-a-distance that I found really unpleasant. Those sounds are extremely well constructed. There’s also some good Foley work in some gross, squishy ways. Nope. One named female character and she gets abducted real early. Whole movie is a white dude sausage fest (PUN ON THE CANNIBAL MOVIE). Which is appropriate for the style of classic Western it’s intentionally emulating, so, I guess, shrug. Whatever. NOT MANY PEOPLE. I like graphic movies and I wrote in my actual notes for this one, at one point, “Pretty rough, even by my standards.” The horror part is actually pretty isolated from the Western part, and it’s pretty short, but it’s pretty gross. Absolutely, given the caveat above. I adored this movie. It’s a good Western and a good horror movie and it goes seamlessly all in one quite lovely picture. It’s pretty and the characters are good and the horror made me go EAAAAUUGGHHH!!!! and flail my arms about, and that’s pretty much all I want from a movie. Highly recommended. I don’t think a person would split so nicely in and evenly in half. What about basic bone structure. I loved Richard Jenkins’ doofy character. Gosh, Mom, spoilers. I think it would work, given the hacking they were doing first. I’m not googling it, you can’t bait me into it. Richard Jenkins is the best because Richard Jenkins is always the best.